When was your last bra fitting?? We are already nearly half way through the year. So why don't you join me and the hundreds of other women on this journey. Lose weight, Get fit and be the best YOU can be. Sera is a Fashion designer and Qualified PT. She is also a Mum of five - Stella 16, Kingston 10, Luella 9, Amalia 5, and Odelia who is 1. She has an amazing husband Amani. She blogs about Lifestyle, Health and Fitness, Workouts, Kids, Fashion and issues like Post Natal Depression – which she suffers from. She's struggled with weight issues for so many years and tried all the diets, the pills, and the shakes. But things changed last year after the birth of her fifth baby. Her bowel ruptured and she developed peritonitis and had part of her bowel removed. Sera was seriously ill. It took a long time to start to feel “normal” – and Sera began to think about her body and her health differently. Her goal now is to eat healthy and become as fit as she can. And for her, being fit involves not just physical fitness, but also mental well-being. She has learnt that losing weight is not about rapid weight loss. It’s about a lifestyle change and a slow and steady approach to a healthier me. Which is why she launched in May 2018 her Fit with Sera Lilly app. 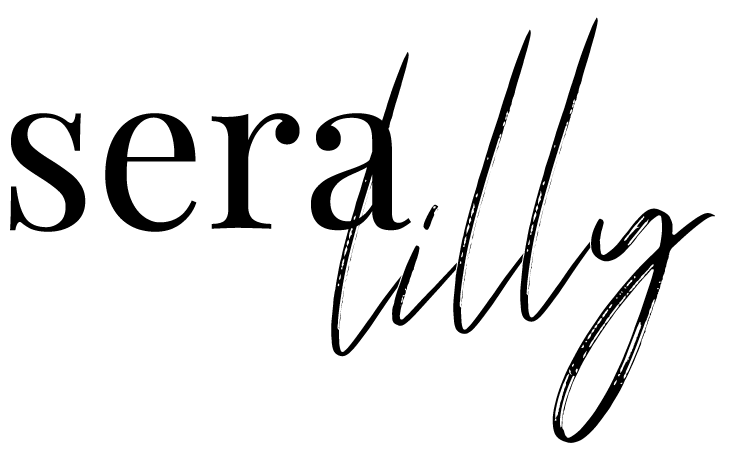 She has also just launched her Lilly & co designer baby brand as well.